Arrowhead begins it’s final exams next week (1/15-1/18) and students are beginning to prepare by studying, seeking extra help, and wrapping up tests and other assignments in clases. Students will arrive to school at normal start time during exam week (7:20am for south campus and 7:30am for north campus) and will be released at 10:40am at south and 10:50am at north Tuesday through Thursday. Students do not have school on Friday. Teachers will be in the building for a professional development day. Monday, January 14th, will be a regular A day for students with normal classes. Tuesday, January 15th is Arrowhead’s first exam day and students will take exams for their first, second, and third hour classes, or they will take exams for first and second hour blocks (both A and B days) and third and fourth hour A day blocks. On Wednesday, January 16th, students will take exams for their fourth, fifth or sixth, and seventh hours. If they have blocks in their schedule, students will take their third and fourth hour B day final, fourth and fifth B day final first, and their fourth and fifth A day exam or sixth and seventh B day exam second. Last, they will take their seventh and eighth A day exam or sixth and seventh A day exam. On Thursday, January 17th, students will either take their eighth hour exam or their seventh and eighth hour B day block exam first, and then either their ninth hour or ninth and tenth hour A day exam second. Then students will either take their tenth hour or ninth to tenth hour B day exam. 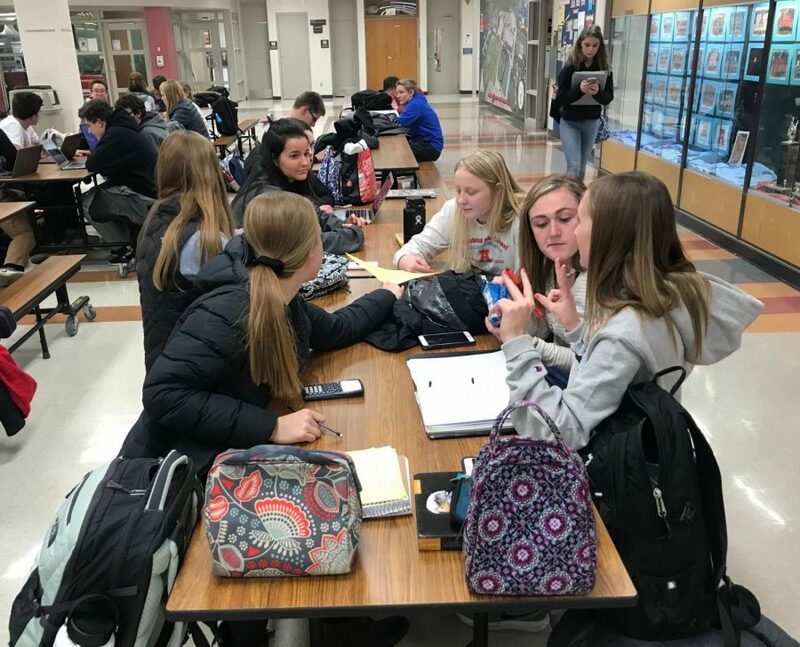 Some teachers have given their students ways to study by giving them review materials and packets, such as Terese Rentmeester, who teaches ninth and tenth grade Spanish. Some other study tips suggested by Elizabeth Hoyt on Fastweb are organizing a group study session, creating a study schedule, or color coding your study guide.